You can download Monitor as a pdf file from https://www.windmill.co.uk/monitor/monitor209.pdf. * Windmill Questions: What happens when my Free Trial Expires? How do you communicate with your data acquisition system? See and control what's happening? A software view of the system is known as the "User Interface". You may have little or no control over the look of this interface - as in the case of some off-the- shelf programs. Our Chart program, for example, lets you choose colours, backgrounds and styles of display. The basic look of the Chart window, however, always remains the same. Digital states, such as open or closed and on or off, are generally best represented by changing icons. There is often a nationally or internationally recognised symbol for your icon. The British Standards Organisation, for example, specifies graphical symbols for process measurement and control. To design your own icon emphasise the graphical elements that distinguish this object from other objects and eliminate the elements that don't contribute to the object's identity. Consider whether you need to label your icon. Experiments have shown that people read more slowly from computer screens than from paper. Reading speeds are increased, however, by optimising a number of factors such as using dark characters on a light background, anti-aliasing characters (ie smoothing their edges) and using displays with relatively high resolutions such as 1000 x 800. Each variable contributes in a small, cumulative way. Optimising each aspect of your design will improve legibility of your display. My free trial of Windmill 7 is about to expire. I currently have it logging data from 1 instrument via RS232. When the trial expires, will I still be able to log RS232 data using the "LOGGER" application in the exact same way as the full Windmill 7 license? If not, how do I go about downloading the completely free ComDebug software? Once the trial has expired you won't be able to use the Logger software. The Windmill trial, though, comes bundled with the ComDebug software, so you already have it. You will have used it to enter your RS232 settings. When the trial expires open the ComDebug software (it's in the Windmill 7 folder). Follow these steps. 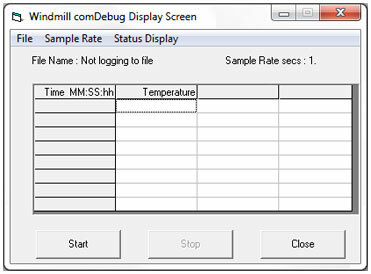 Choose Edit an existing Windmill Instrument File and select your settings file (*.imd). Choose Edit Message 1 from the screen that appears. Click Run to open the display screen. From the File menu select Data File and enter the name of the file into which you want to log data. The Windmill trial and ComDebug are free to Monitor subscribers from. Will give you the average rainfall on a Monday. AverageIf was introduced in Excel 2007 - it works with all versions of Excel after this but not Excel 2003 and earlier. If you are using a version of Excel which doesn't support AverageIf, you can use an array formula to achieve the same thing. To do this: Type =AVERAGE(IF(C2:C365="Monday",D2:D365)) into the fx box (not into the cell directly) and press Ctrl, Shift and Enter. There are more examples of using array formulae in issue 116 of Monitor. If you have a question about using Excel for data acquisition and charting, contact [email protected] Read more Excel tips and techniques. A global competition is challenging teams to design an underwater vehicle to explore the deep sea. 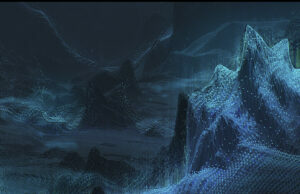 It must map the seafloor, produce images of specific objects, identify archeological, biological or geological features and, for a bonus, track a chemical or biological signal to its source. Buildings consume 40 per cent of the energy used in the developed world, with heating and cooling accounting for around two-thirds of this. Intelligent windows, capable of regulating the temperature of the building and reducing glare from sunlight, have been developed in the UK. 2015 measurement survey shows that measurement customers are more innovative than their peers and that measurement is used throughout the manufacturing lifecycle.